LinQuest provides sustained excellence in advisory and assistance services, operations and maintenance, and systems engineering and technical assistance efforts supporting operations, integration, test, training, exercises, maintenance, and sustainment of critical DoD weapon systems. In 2015, LinQuest engineers supported the re-entry of the C/NOFS satellite into Earth's atmosphere. On one mission, we successfully completed C/NOFS and associated science objectives before vehicle burn in...the reality of seeing C/NOFS burn in after seven years of working with our partners, AFRL, and the Air Force, was incredibly exciting. Troubleshooting actions from STEC operators and engineers directly resulted in the recovery of command and control capabilities for five research and development satellites worth $755 million dollars. LinQuest provides satellite operations engineering solutions to the United States Air Force (USAF) Space and Missile Systems Center (SMC)/Advanced Systems and Development Directorate (AD) at Kirtland Air Force Base in Albuquerque, NM. LinQuest has been providing solutions the SMC/AD STEC mission since 2009. The contract's scope includes engineering support and operations of one-of-a-kind research and development (R&D) satellites, including pre-launch, launch and early orbit, mission planning, on-orbit operations, and anomaly resolution. Through an innovative evolution plan, LinQuest ensures that our STEC team has a cadre of operations engineers ready and available to support the dynamic peaks and valleys of the operations support at the Research, Development, Test, and Evaluation (RDT&E) Support Complex (RSC). The LinQuest Engineering Lead reflected on an exciting achievement for which he was extremely grateful to be a part of when the Communication/Navigation Outage Forecasting System (C/NOFS) satellite burned up during a planned re-entry into Earth's atmosphere in 2015. 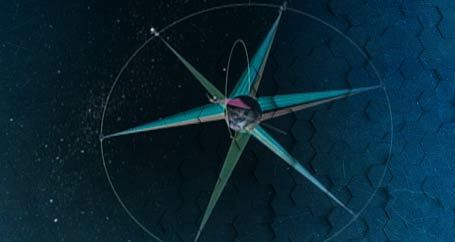 The team was able to gather vast amounts of data to address outstanding scientific questions with regards to orbital decay. "LinQuest provided opportunities for our STEC team to work on exciting satellite missions. On one mission, we successfully completed C/NOFS and associated science objectives before vehicle burn in...the reality of seeing C/NOFS burn in after seven years of working with our partners, AFRL, and the Air Force, was incredibly exciting." 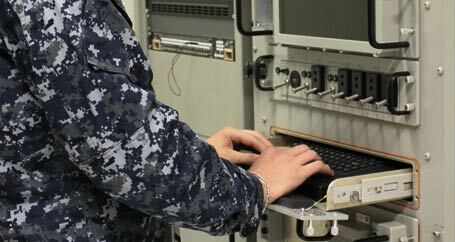 LinQuest provides solutions for position, navigation, and timing to the Department of Defense. The JNWC effort positions LinQuest to provide solutions to counter threats and posture the Joint Forces for operations in denied and degraded environments. We are very happy to be assisting Combatant Commanders, Component Commanders, Joint Task Forces, DoD Services, the Intelligence Community, Federal Agencies, Coalition Members, and Allied partners in their important missions. LinQuest provides solutions to the Joint Navigation Warfare Center (JNWC) at Kirtland Air Force Base, NM, Offutt AFB, NE, Vandenberg AFB, CA, and the Pentagon for its mission to enable position, navigation, and timing (PNT) superiority for the DoD, interagency, and coalition partners. Our SMEs assist the JNWC personnel as they integrate navigation warfare (Navwar) across the DoD through coordinated employment of space, cyber space, and electronic warfare (EW) operations to ensure operational support to the warfighter. Our SMEs are integral to these teams as they provide geographic combatant commanders and joint force commanders expertise in planning and conducting Navwar operations across space, EW, cyberspace, intelligence, surveillance, and reconnaissance operations, facilitating a common understanding of the friendly and enemy Navwar Order of Battle. LinQuest's SMEs assist in creating Navwar knowledge for, operationalizing, and institutionalizing PNT superiority. LinQuest's SMEs assist in creating NAVWAR knowledge for, operationalizing, and institutionalizing PNT superiority. LinQuest's software development resources enhanced the current Navwar Repository, Arsenal, and Armory by adopting, at multiple classification levels, improved information sharing, enhanced functionality, and operationalizing the system into an actionable and integrated Navwar Knowledge base. This provides the JNWC, USSTRATCOM, Joint Warfighters and DoD, IC, civilian and international partners, and other stakeholders immediate access to the latest information regarding PNT superiority. This solution allows more streamlined workflow for projects, higher quality courses of actions, faster deliverables, and more organized and attainable data for the Community of Interest. LinQuest provides terminal operations and maintenance solutions for the AEHF/Milstar Command and Control program. Having been a government contractor for many years, LinQuest is, by far, the best company to work for when it comes to recognition of employees, opportunities to excel, and career advancement. LinQuest provides engineering and terminal operations and maintenance (O&M) solutions for the Terminal Field Support program in support of the 4th Space Operations Squadron (4 SOPS) Advanced EHF (AEHF) mission located at Schriever AFB (SAFB), the 148th Space Operations Center located at Vandenberg, AFB (VAFB), and the 153rd Command and Control Squadron at F.E. Warren AFB (FEW). LinQuest has been involved with AEHF/Milstar SATCOM systems for more than eight years and has helped build the AEHF/Milstar SATCOM terminal program from the ground up. These SATCOM terminals support the military command and control (C2) of the integrated Milstar and AEHF satellite constellation. The team has been highly successful in achieving a historical system availability rate exceeding 99 percent for all terminals for eight years. LinQuest developed comprehensive maintenance and operational procedures for the AEHF/Milstar fixed and mobile terminals, resulting in improved operator discipline, fewer errors, and increased terminal availability. All of our Squadron Commanders are thrilled to have LinQuest SMEs supporting their mission areas and on their team! One of LinQuest's Systems Engineering Technical Assistants supports SBIRS crew member training validation, procedures, and inspections. When he provided this support to the 460th SW, he assisted the Command and Control development effort by designing the Transfer of Primary Operations Checklist and led the coordination and dry run efforts. The checklist enabled the Wing and 2nd Space Warning Squadron (2SWS) to transfer operations to an alternate operations facility without degradation to the Missile Warning Mission. [LinQuest's Systems Engineering Technical Assistant] is indispensable to both the development and sustainment efforts...he's a one-person force multiplier! [LinQuest's Systems Engineering Technical Assistant] is the Operations Group's 'go to' guy! LinQuest provides Defensive Cyber Operations (DCO) and Space-Based Infrared System (SBIRS) operations technical support to the 460th Space Wing (SW) at Buckley Air Force Base. The SBIRS program consists of the space segment of Geosynchronous Earth Orbit satellites, Highly Elliptical Orbit sensors riding on Host satellites, legacy DSP satellites, and the associated world-wide deployed ground systems. The program meets jointly defined requirements of the defense and intelligence communities in support of the missile early warning, missile defense, battlespace awareness, and technical intelligence mission areas. Provide recommendations on tactics, techniques, and procedures; standard operating procedures; training materials; operational instructions; and other materials to include identifying information to be monitored, systems/software to provide monitoring capabilities, recommended event triggering thresholds, incident response measures, cyber security reporting processes and procedures, and recommended actions to implement similar capabilities across AFSPC's portfolio. We monitor applicable systems and take action, as necessary, to comply with US Cyber Command directions and taskings. Finally, we maintain awareness of the ground segment architecture for space mission system network traffic conditions, performance, bandwidth indicators, anomaly alerts, unauthorized activity, audit logs, and any on-going cyber event or incident. For more than six years, I have had the pleasure of being a member of the LinQuest team. I have been given many opportunities to excel professionally...my direct leadership could see the potential within me and placed me into positions that challenged me and fostered my growth. I interact with multiple professionals on different government contracts and have never seen where any other company can match the job satisfaction and benefits to those that are enjoyed by our team. The mobile team provides O&M support for three AEHF Ground Mobile (AGM) shelters and ancillary equipment. The AGM shelters provide a full C2 capability in a High Altitude Electromagnetic Pulse-certified endurance and contingent mission configuration. The LinQuest mobile team ensures the shelters are prepared for airlift and road transportability 24/7/365 and deploy with the active duty personnel in support of the mission. To ensure continuous mobile manning coverage, LinQuest created a backup mobile team that is used for supplementing mobile operational requirements as well as augmenting the primary team when a primary team member is not available. LinQuest developed a complete training program that is used for initial certification and recurring training, resulting in more experienced personnel that has increased efficiency and resulted in improved terminal performance. We are extremely pleased with the talent LinQuest brings to support our mission every day! 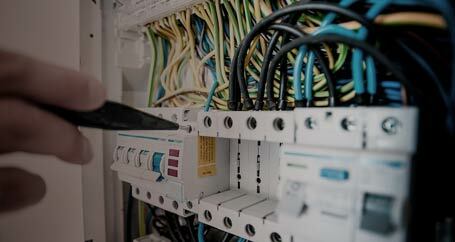 Industrial control systems mechanic services. HVAC support includes all services for chillers and all chiller plant support equipment. Electrical service support includes all services for electrical components in and near buildings, and structures that support national defense programs and equipment. For power production, our SMEs operate electrical power plant AC and DC switchgear to control and distribute electrical power through primary and secondary electrical distribution systems and all services for generators, diesel engines, electrical distribution switchgear, and control components. Our electrical engineering support consists of performing engineering services for electrical circuits, equipment, and systems to infrastructure facilities, including utility systems utilizing a professional knowledge of electrical engineering. Our civil and mechanical engineering SMEs perform engineering services for equipment and systems to infrastructure facilities, including utility systems and existing complex and major facility and infrastructure systems and equipment at a military installation. In the industrial control systems arena, we provide electrical engineering and testing for highly complex electronic systems, components, and subassemblies. LinQuest creates custom interactive training tools. I have truly been blessed to work for LinQuest (previously LinCom and Titan) for almost 17 years. It has given me the greatest satisfaction to have been able to make a small contribution and to continue to do so, for our men and women in all branches of the military. Our training is developed, maintained, and delivered by domain experts in acquisition, development, and operations of the systems being taught. Our training includes classroom training, mobile training teams, computer-based training, and hands-on equipment/software training. The Communications Planner Training we do for the Advanced Extremely High Frequency (AEHF) Secure, Mobile, Anti-Jam, Reliable, Tactical-Terminal (SMART-T) for the United States Army (USA) Space and Missile Defense Command (SMDC)/Army Strategic Command (ARSTRAT) on the Project Manager Warfighter Information Network – Tactical (PM WIN-T) program regularly receives extremely high accolades from students. Our instructors are equally pleased with the roles they have at LinQuest. One instructor recently said, "Knowing the information I am providing the soldier can have a direct impact on their lives makes my mission all that more important." Another said, "The LinQuest management team allows me the time to continue to grow and enhance my craft with no micromanagement." Among the instructors is a sentiment that working for LinQuest is a long-term career. LinQuest provides operations solutions to the 460 OG for SBIRS. My job has been made easier and I have more confidence in my decisions with his help and advice...I can't imagine the training office operating without him! [LinQuest's OPIR Mission Analyst] is known as the continuity in the training shop-bringing a depth of knowledge to short-notice taskers from Headquarters Air Force Space Command and the 14th Air Force. LinQuest's Space-Based Infrared System training provides SBIRS Curriculum Development and Instruction for the 460 Space Wing (460 SW) at Buckley AFB. Our SMEs develop local guidance for tracking SBIRS crewmember certification, currency, and training accomplishment. Our counter-space intelligence analysis and instruction SMEs provide intelligence, surveillance, and reconnaissance and counter-space expertise via scenario development intelligence injects (i.e. researching existing intelligence production and submitting Requests for Information, as required) and provide crew readiness briefings. For our SBIRS crew member training, the 460th Operations Support Squadron (460 OSS) Chief of Training stated that one of LinQuest's OPIR Mission Analysts was a "workhorse" who recommended improvements to the Standardized Space Training (SST), reducing training risks and saving the government money. LinQuest is the lead contributor in the TD design for NMT and ATIP through the Operations Trainer Simulator (OTS) development that incorporates TTE operator interface system software design for real-time operations simulation and to support sustainment by using the actual equipment software. This optimizes end-to-end system training that is being further enhanced through the NMT "Modem Simulation" training design. LinQuest supported all elements in the development, installation, and implementation of the trainer system including Preliminary Integration and Test Checkout (PITCO), installation, System Operational Verification Test (SOVT), Train-the-Trainer, and pilot course conduct support. LinQuest is the lead developer for the Navy Multiband Terminal (NMT) and the Advanced Time Division Multiple Access (TDMA) Interface Processor (ATIP) operations and maintenance schoolhouse courses, which comply with NAVEDTRA 130 series requirements and use AIM II v5.0/SCORM, as coordinated. The development involved 4 operations course types with 32 lessons, and 4 maintenance course types with 36 lessons that emphasize commonality with reduced costs by combining development with our "On-the-Job Training" curriculum update. To support this, LinQuest conducted a front-end analysis with alternatives to provide the most effective training that met cost and schedule factors with minimal risk. LinQuest worked with the terminal development prime contractor and the Navy to develop the Maintenance Trainer System Fault Handling Mechanisms (FHM) along with the equipment simulators (i.e. Mast Group Simulator, Mast Resistance, and Satellite High Power Amplifier Simulator). LinQuest managed the Tactical Training Equipment and Training Devices (TTE/TD) and all associated equipment to coordinate and track the Training System Installation Plan (TSIP).